If you haven’t had a reverse seared steak you haven’t lived, and I guarantee after you try it, you won’t eat a steak any other way! 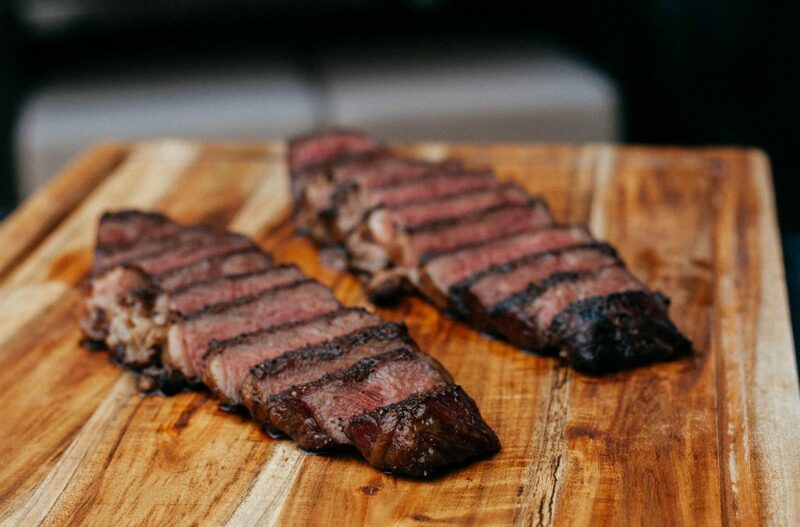 Because you rest the meat during the process you can serve it straight off the grill with all the tenderness and goodness a quality steak deserves. Do yourself a favour and get on board! Cooking inside? Here’s how to reverse sear your steak using a conventional oven. I used charcoal briquets although you can use lump charcoal as it’s a personal preference. I used a cherry wood chunk for smoke, you can use any type of wood or chips you prefer. If using chips, I suggest soaking for 45 minutes before adding to hot coals. For this cook I used the trusty Webber Kettle, you can use any other barbecue, smoker or even an oven although you will need to combine with a cast iron pan over high heat to do the sear. I used a chimney starter for lighting the charcoal as it cuts down the wait time for the fuel to ash over. I also used a meat thermometer for this cook so I could make sure the internal temp was just right before resting and then the sear. I recommend when reverse searing a steak using a thick cut of strip steak, rib steak or sirloin about 2-3 inch thick, again this is personal preference on what cut you use. 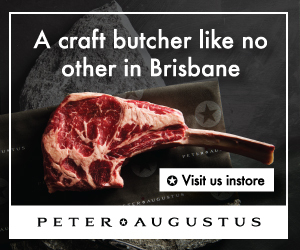 I do love a good Tomahawk steak as well. We used an awesome Wagyu striploin for this cook up. Add at least 15 charcoal briquets to the chimney starter. When ready, place briquets in one side basket or one side of the bottom grate. Place lid back on and adjust bottom and top vents to bring the kettle to 225°F/110°C. When the kettle temperature reaches 225°F/110°C, remove the lid and place wood chunk on the coals to start the smoke. Place the lid back on the kettle. I maintain the temp between 225°F/110°C and 250°F/120°C for this cook. While this is coming up to temp, mix cracked pepper, kosher salt and garlic granules and season the steak. Once you are happy with the temp of the kettle, place the steaks on the opposite side of the kettle away from the direct heat. As we are cooking with indirect heat for this, place the thermometer probe in to each steak and place the lid back on to get that smokey goodness. Continuing grilling till you reach an internal temp of 110°F/43°C. When the steak has reached an internal temp of 110°F/43°C, remove and rest for 10-15 minutes. Make sure you keep the lid on the kettle to maintain heat. While the steak is resting, grab the chimney starter. Add another 15 charcoal briquets and light that bad boy up. After 10 minutes remove the lid and add hot briquets to the existing bed of briquets to create a hot fire in the kettle. Lightly brush olive oil over one side of the steak and place oil side down on the grill directly over the hot flame. Brush the other side of steak with oil. Look for a nice dark crusted colour when turning the steaks, I cooked these for 2-3 minutes each side for medium rare 130F-135°F/54°C. Remove the steaks from the grill. They’re ready to eat. WordPress Theme built by Shufflehound. © Copyright 2018 Stanbroke Steak School.